With the Philippines´ 7,641 islands, Cebu is one of the most famous. So here I share to you the cheapest way to spend your vacation in the Queen City of the South, Cebu! 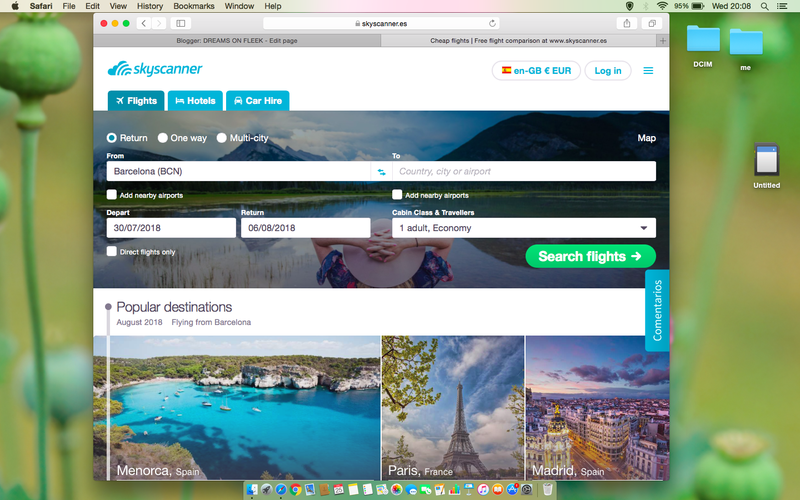 Skyscanner is a website (they also have their app) where you can see prices of flight anywhere and anytime. 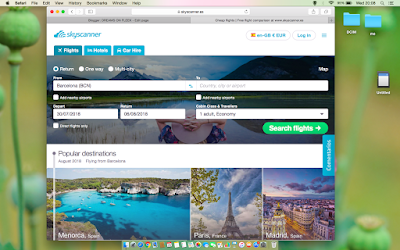 Here is how you can use this website to get the cheapest flights. 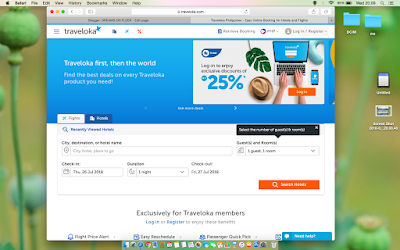 Then after deciding the appropriate and cheapest flight for you, go to Traveloka website to get discounts! You can get more discounts by downloading their app and don´t forget to sign up because first time users get their exclusive discounts. Take note that it is only available to some countries. My rountrip ticket MNL-CEB & CEB-MNL is only 2,100php! You just need to be patient to look for the price from time to time and follow the process. You don´t need promos anymore. As we arrived in Mactan-Cebu International Airport, we booked in Mactan Cebu Airport Budget Hotel through Booking.com just for 1 night. The room is good for 6 persons and you have to share the bathroom but that won't be a problem because they have a lot of showers that gives you privacy. It has 20 pesos entrance fee. It is a temple for Ellen Adarna´s grandmother. For your night tour, I recommend you the 10,000 roses café. It´s a new tourist spot in Cebu city and you can see more of its beauty during night. But better to be there before 6pm because of number of people going there. The next morning, we went to Cebu South Bus Terminal to take a bus going to Oslob. It cost us 160 php per person. It´s almost a 5 hours ride.We were a little bit late so as we arrive in Oslob, we just went to the nearest beach and took a rest. 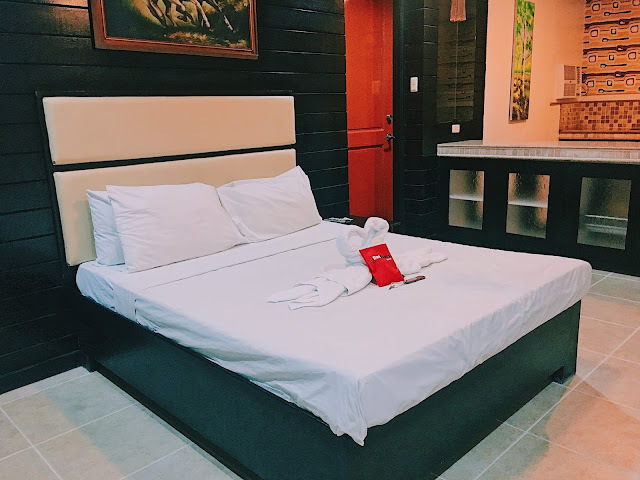 We stayed in Casa Solmar in Oslob. I highly recommend you this place! 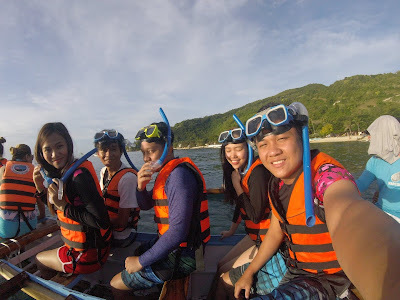 They are too nice to accommodate us and even booked a motorcycle drivers to take us for whaleshark watching. The trip cost us 300 php per head and the drivers already got numbers for us so we didnt have to fall in line for so long. They will help you with everything and they will even suggest you things so you can save money and enjoy at the same time. 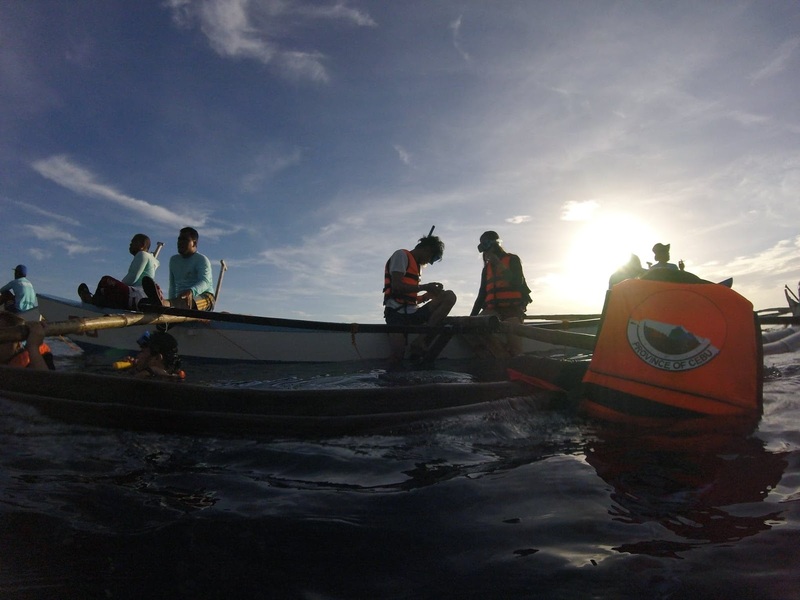 You need to get a number before you see the whale sharks. So better ask someone to get number for you, ask the natives. There is also a 10 minutes briefing about do´s and don´ts. Then they will give you your gear but I recommend you to bring your own gear. Book here. Kawasan falls is way too far from Oslob. It can take you more than an hour to get there. There is an app called Maze than can lead you going there. But be careful because it can also give you a wrong way. It is 10 minutes walk from the entrance to get in Kawasaki falls. You can rent life vest for only 20 php. There are small stores in the area for your miryenda. Book your tour here. 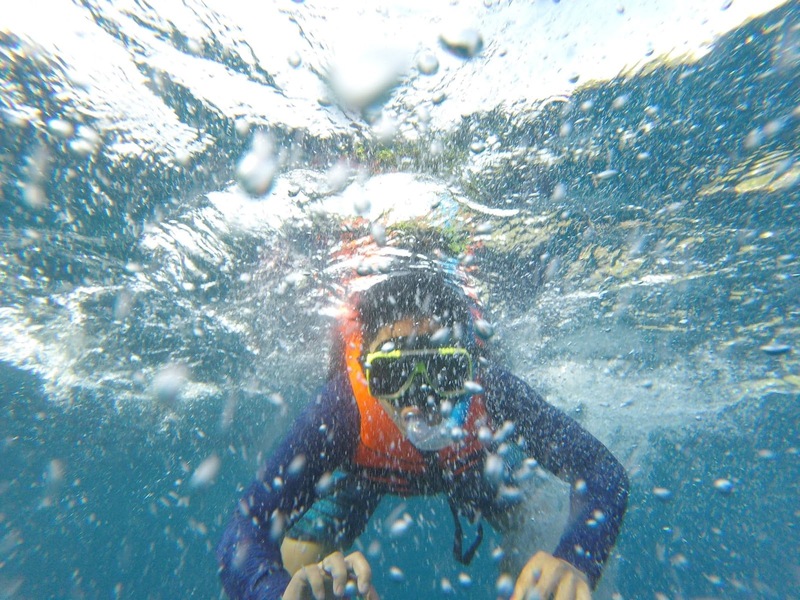 Sumilon Island is way too near from Oslob. It is only open for public until 5 pm. 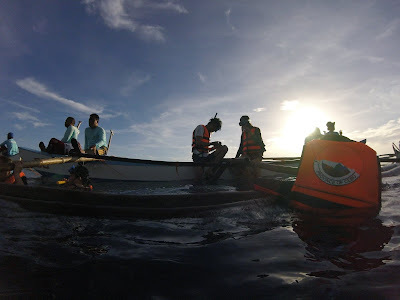 There is a boat that you can rent and it cost us 1,200 php. It´s a little bit expensive because we were just 5 persons in one big boat. I recommend you to get there early in the morning so you can share the fare with other travellers. It is only a 15 minutes ride and you can see a paradise. It has a white sand and clear water. It´s the highest peak in Cebu but unfortunately we could´t drive anymore to get there because it was raining. People from there said that it usually rains during morning so try to go there in the afternoon. Don´t forget to bring delicacies of Cebu in your own town. Before going to the airport, pass by in Taboan Supermarket for cheapest and affordable pasalubong such as dried mangoes, danggit, otap, and etc.. You can buy kilos of your dried fish for cheap price. But always go advance to the airport because you might experience unexpected traffic in the city. And always expect delayed flights! Total amount of money I spent in Cebu is only 7,000 php including everything. Wow. This place is really amazing. Thanks for letting us know. This looks like a beautiful place! I bet the snorkeling is astounding. I'll add it to my list of places to visit. This is so awesome! I love your photos, and it looks like it is so much fun. The whale watching would be an amazing thing to do. This looks like a great place to visit. Your trip looks like so much fun! I definitely want to go to Kawasan Falls especially! I've never been to Cebu before! Only at Bicol. Another reason to visit Cebu! I'd like to go there one day. Oh it's beautiful! Thank you for all of the great tips and recommendations. That will make traveling there a lot easier! Cebu looks like an amazing place to go on vacation. Your pictures are really beautiful! I especially like the Sirao Garden. 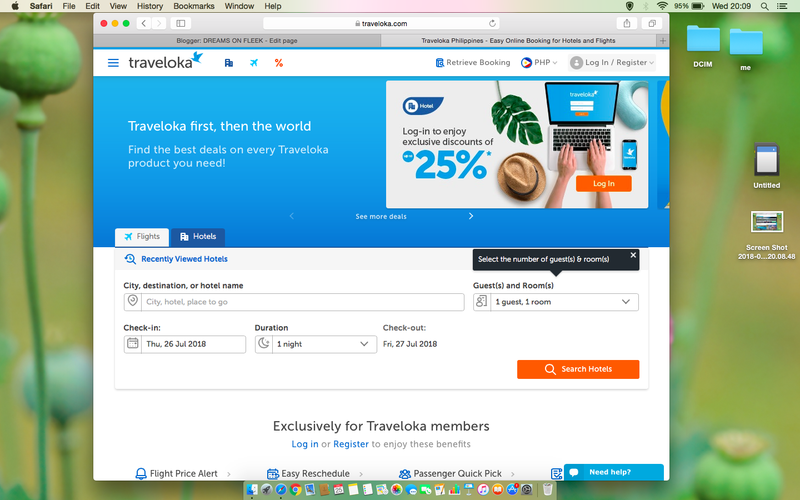 How cool that you got a travel discount. Even traveling doesn't have to be expensive! Wow this place looks amazing! So awesome that you were able to visit here for a great deal. All your pictures look like yall had so much fun. I would love to visit one day, the shark watching and 10,000 roses cafe would be my first stop. This looks amazing! What beautiful photos. We don't really travel yet, because our kids are so little, but in a few years, I would absolutely love to do something like this! The Phillipines is definitely on my travel list for 2019! It looks so beautiful and thanks for sharing your trip to Cebu! THANK YOU for taking me on this travel journey with you! I haven't traveled in about 10 months and man oh man is it biting me right now! Your trip looked amazing! I'm definitely motivated to take one of my own. These are awesome tips. That looks like a place I need to add to my list. Cebu looks amazing! I’m glad you had fun there. Thank for the travel tips. I would love to visit the Philippines one day! Thank you for sharing your adventures in Cebu, I’ve always wanted to learn more about it. Wow! The 100 roses cafe looks so dreamy! I have always want to venture for your part of the world. Thanks for the great resource. I would love to explore Cebu, especially with such beautiful scenery to enjoy. The whale shark viewing and the waterfall would be at the top of my list. This place is amazing and I would love to visit here. Thanks for sharing.